After concrete pouring, you should adopt effective maintenance way for concrete, because the maintenance is one of key technology to obtain high quality concrete and the effective means of concrete strength development and control of cracks. After concrete pouring, you should cover and keep moisture curing for concrete as soon as possible, and keep the concrete moist within the prescribed maintenance time. Used plastic sheets to cover curing of concrete, the surface should be covered, and plastic sheeting shall be maintained in the condensate. It is inconvenient to use plastic cloth and pour water on the surface of concrete, you can shell-out curing agent. To prevent concrete surface crack, in addition to the maintenance as soon as possible, should be timely plaster. After the initial set of concrete, plaster for the first time, the second time should be paid attention to surface crack, if there is surface crack, application of wood float flap can make cracks heal. Zhengzhou CamelWay Machinery manufacture is one of the large-scale enterprise specializing in construction machinery. The company was found in 1983. 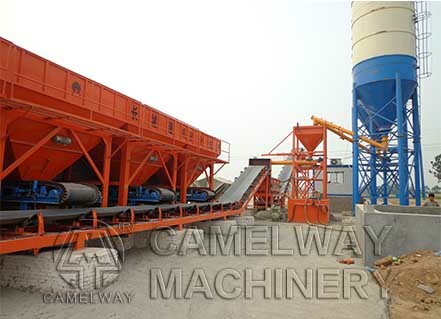 CamelWay Machinery manufacture develops and produces concrete mixing equipment which will satisfy your different requirements. 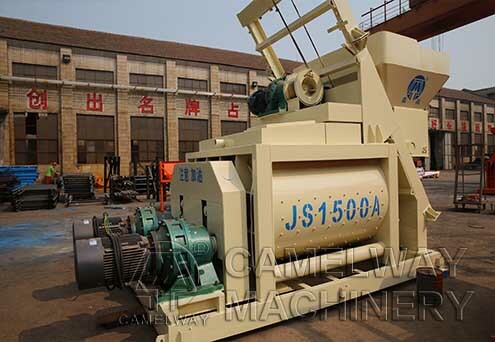 If you are interested in the concrete mixing equipment, please feel free to contact us.